The main Device can be directly connected to the Elrasoft.com UUSP (UPA-USB Serial Programmer) or by an optional DB9 male / female 1:1 extension cable. 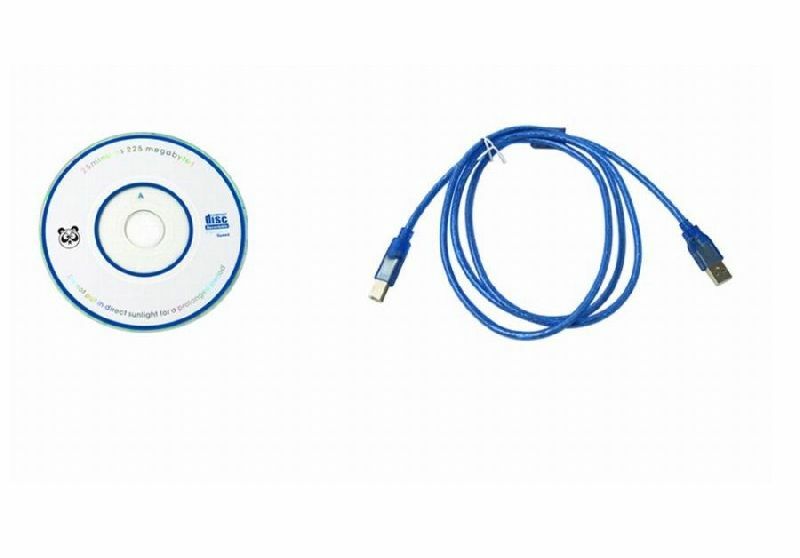 It's equipped with an 40pin ZIF Socket for all narrow and wide DIP / DIL devices as well as with a 16 pin SOIC ZIF (150mil, narrow) socket to cover most commonly used devices. 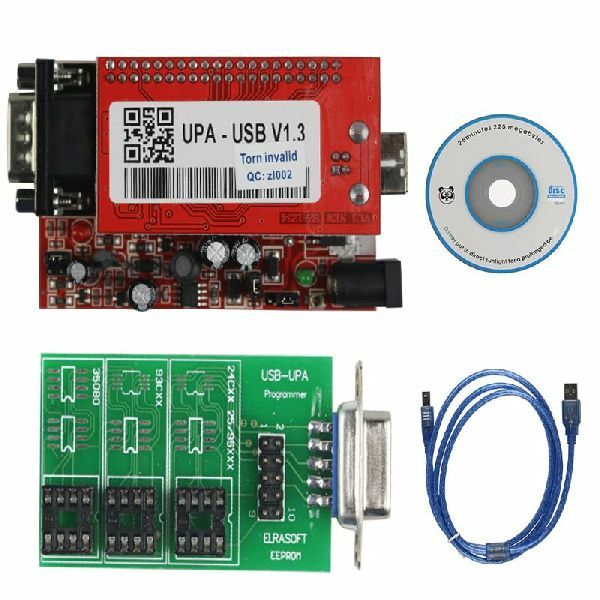 New Upa-usb is the full set with all adapters; The main Device can be directly connected to the Elrasoft.com UUSP (UPA-USB Serial Programmer) or by an optional DB9 male / female 1:1 extension cable. 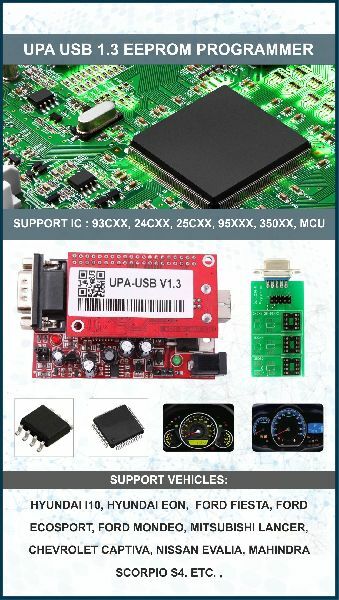 It's equipped with an 40pin ZIF Socket for all narrow and wide DIP / DIL devices as well as with a 16 pin SOIC ZIF (150mil, narrow) socket to cover most commonly used devices. Device configuration is done over special configure keys which make the work convenient and safe compared to wiring up all manually. Simply connect the main board to the UPA programmer directly or by using a DB9 male / female extension cable (1:1). Insert the correct configure key into the slot of the main board and start programming either via the ZIF or SOIC Socket. You can also use the included DIL to 10pin Flat-ribbon header, put it inside the ZIF socket and wire up an SOIC clip or clamps for ISP use from there.